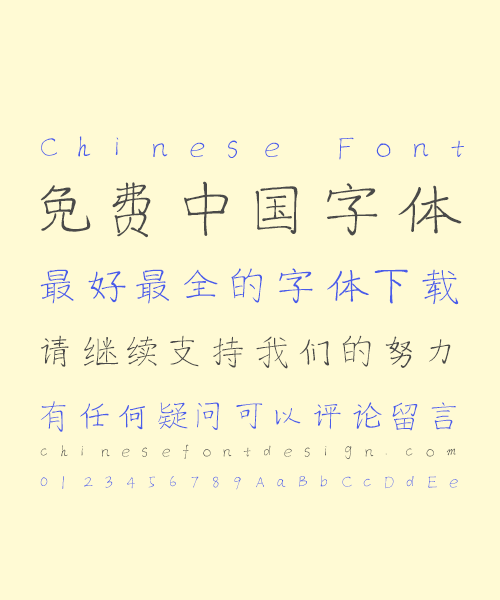 This is an Simplified font library with a total of 6,861 Chinese characters (including basic English letters and symbols) based on the GB18030 standard. This case is based entirely on handwriting. It was first written on the v.ziti163.com platform, written by the stylus (Microsoft surface pro3), then released, finally downloaded and synthesized, and created through smart apps. This brand-new attempt has greatly opened up the creative efficiency and methods of Chinese character fonts and led the industry to innovate. The rules of the style of the fonts are punctuated and the writing is rigorous. The later synthesis and spacing are also quite scientific and standardized, and they are better hard pen typeface design works. Text decorating, information display, web design, cutting and molding, data production, interior design, computational art design, visual design, copybook and other legal application scenarios.